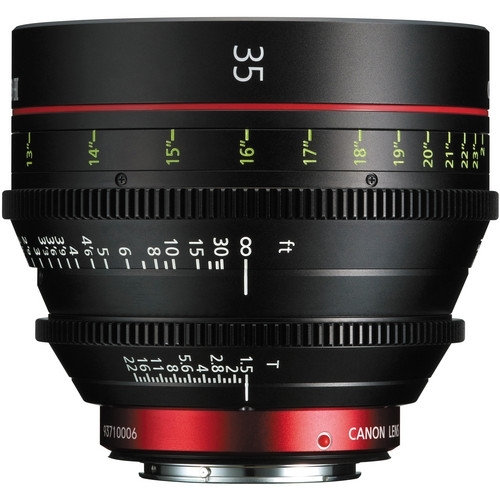 The Canon CN-E 35mm T1.5 L F Cinema Prime Lens is a manual focus prime lens that covers Full Frame and Super 35 sensor formats. The lens offers a maximum aperture of T1.5, useful when shooting in low light situations or when you want to capture that exceedingly shallow depth of field look. 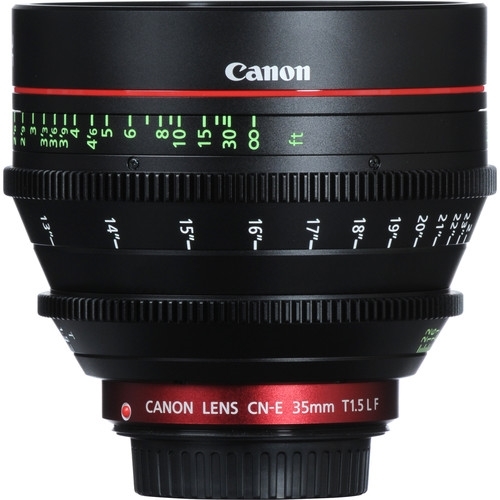 It has an 11-blade iris that provides round out of focus highlights for a natural looking bokeh. 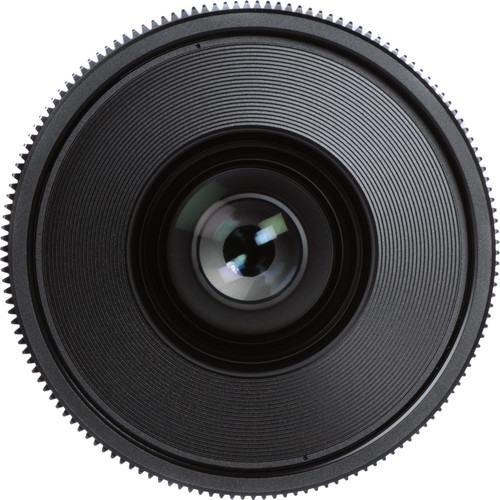 The lens barrel features 300° of stepless, smooth rotation from close focus to infinity, giving you a high degree of precision and consistent focus. 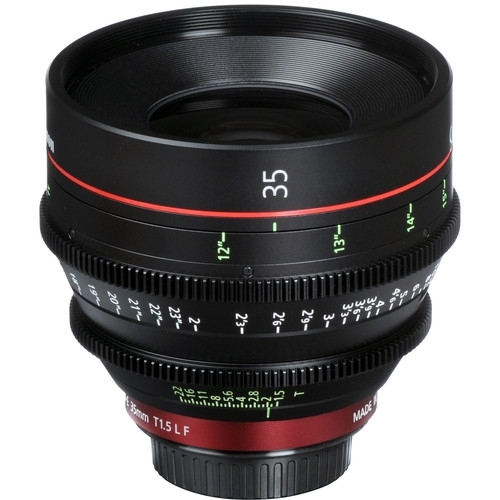 The lens is designed to minimize focus breathing, and also has innovative glass construction that counteracts barrel expansion and contraction to avoid temperature-induced marking discrepancies. It has focus markings on both sides of the barrel, with the rear markings on an angled surface, making it readable form either side of the camera. It also has a dust and water resistant housing to minimize maintenance during normal use. The CN-E 14mm and the other five CN-E lenses share the same 114m front barrel diameter, focus rotation, 36° iris rotation, and focus and iris gear positions, allowing for easier swaps. Box Dimensions (LxWxH) 10.3 x 8.8 x 8.7"